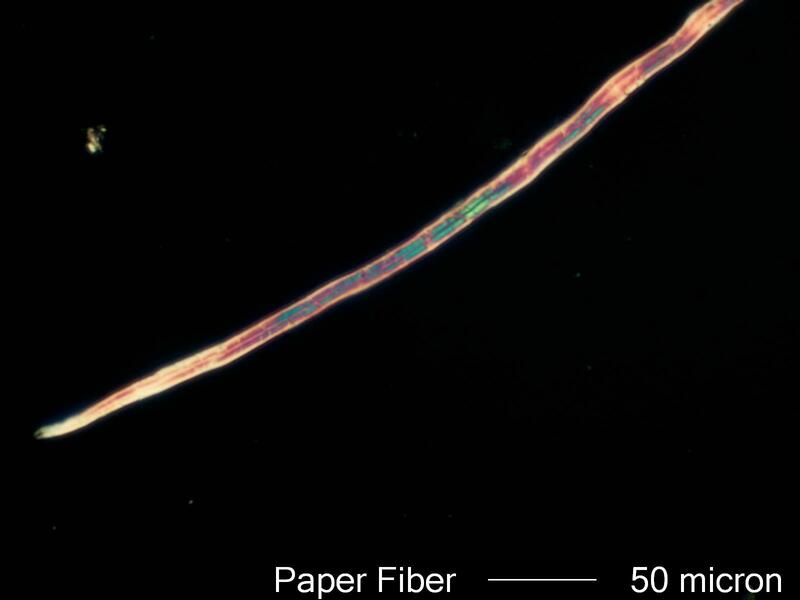 This is paper fiber still has a relatively high birefringence based on the interference color shown. It also still has a relatively high tensile strength and is intact, though only one end is visible in this image. The natural taper of the paper fiber termination can be seen in this image.